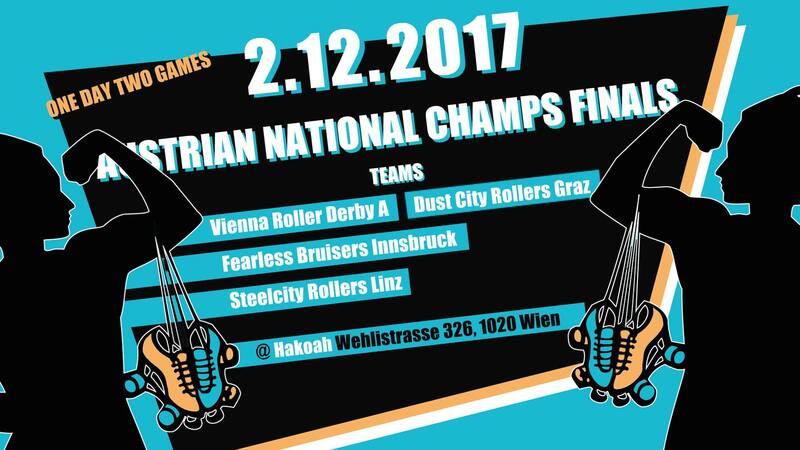 Austrian National Champs Finals with Vienna Roller Derby A, Dust City Rollers, Fearless Bruisers – Roller Derby Innsbruck, Linz Roller Derby – Steelcity Rollers. 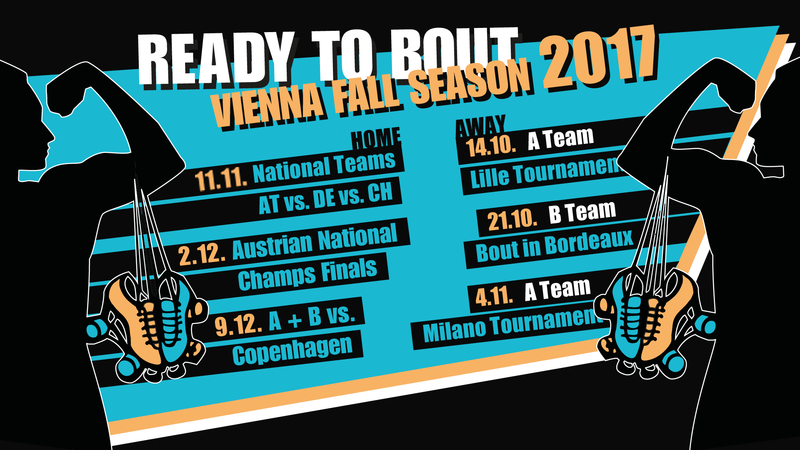 For the first time all Austrian Roller Derby teams (except for SBG KNOCKouts Roller Derby Salzburg because they are brand new ♥) will take part in the same public event. You don’t wanna miss this historic day! Online ticket sale starts on Friday, Nov 17th at 9am. Linz Roller Derby – Steelcity Rollers, Fearless Bruisers – Roller Derby Innsbruck and Dust City Rollers are newer and lower ranked teams than Vienna. Therefore they will play a series of 3 pre-games to determine who will face Vienna in the finals. For each win a team can earn 3 points. The team with the most points will face Vienna on the 2nd of December (if there is a tie point differential of the scores will decide). The other two teams will fight for 3rd and 4th place on the same day. We are very excited to see which team we will meet on track on the 2nd of December and we wish all our Austrian derby sisters great pre games! 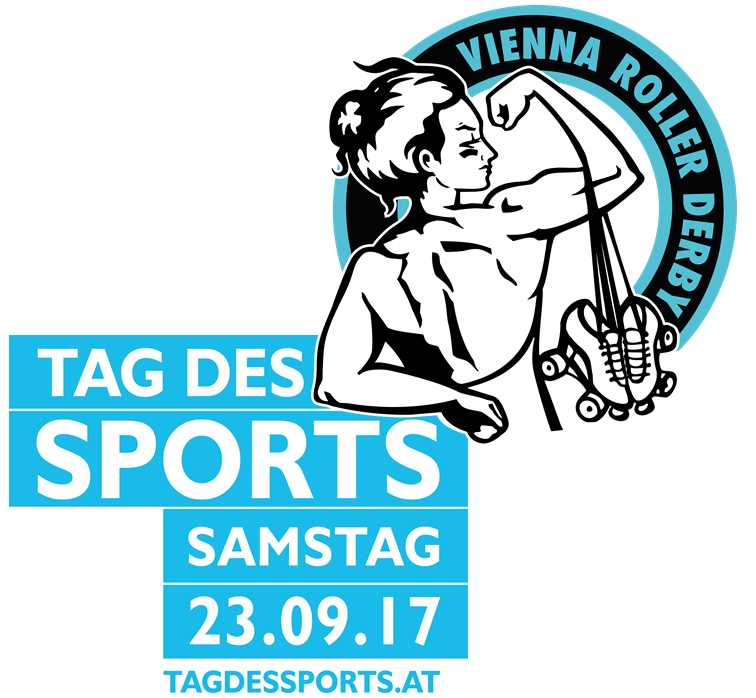 Once again Vienna Roller Derby will be represented at TAG DES SPORTS 2017! 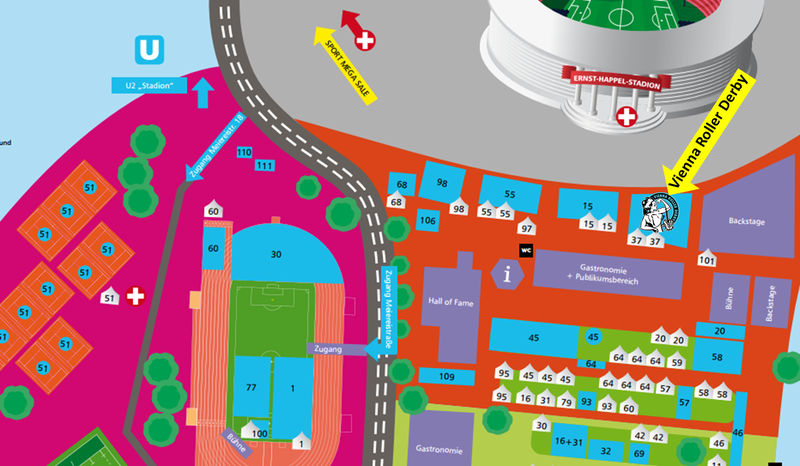 This will be more than fun – so you better be there on September 23, 10:00-18:00 @Prater KERNZONE 1 (Pagode 37)! Meet us at our VRD-Pagode, try skating with quad skates at the ‚KOMM INS ROLLEN‘-Mitmach-Station and watch our public scrimmage! GEMMA, GEMMA, GEMMA! Do you want to be bart of VRD? Mark your calensder and visit us on our next recruiting day on the 1st of October! The last bouts of this years spring season are on! On 24th June the VRD Oysters (A-Team) will face Berlins Bear City Roller Derby Inglorious Bombshells and Vienna Beasts (B-Team) The Hellveticats – Roller Derby Luzern! Sale will start on 9th june at 9am! Save the date, more info coming soon! Are you ready for a day full of derby!? In our Irish Triple header we will give you not just 1 game to watch, but 3!! 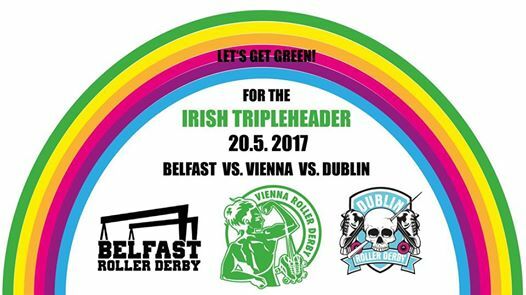 Dublin Roller Derby C-team, Belfast Roller and Vienna Roller Derby A-team will face each other in 3 thrilling bouts that need YOUR cheers and support 😉 Be prepared for an awesome DJ and Announcer set-up as well and mark your calendars, people! WELCOME to the 2017 home spring season opener of our beloved VRD Beasts vs. Sheffield Steel Rollergirls’ Crucibelles (UK). The Crucibelles are currently ranked 269th in Europe are taking on our Beasts who are at 217th right now (18.03.2017). So come to watch what’s going to be a thrilling and exciting game with some Fearleaders action in between!